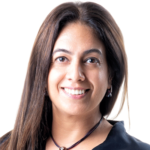 Dr. Parul R Pandey, Vice President Talent Learning & Engagement, leads Talent Acquisition, Talent Assurance & Capability Development, and Diversity & Inclusion at Diageo India. In over 21 years of experience as a Strategic HR professional, Parul has played multiple roles in HR, with organizations like Microsoft, Deutsche Bank and the like. Parul has led organization wide Cultural Transformation Initiatives and designed multiple practices in Leadership Development and L&D that have been recognized as Global Best Practices. Additionally, she was Director & Co – Founder of People Factor Pvt. Ltd. for almost a decade where she contributed to a range of specialist areas like Organization Capability Development, Board and Leader Development, and research projects for the World Bank and GIZ. Besides her corporate roles, Parul has been active in various social initiatives and has held executive positions in that field. As the City Chapter Chairperson for CII Young Indians (YI), she worked on various fronts like ‘Innovation & Education’ and ‘Corporate Social Responsibility’. As a leading thinker on Organizational and Leadership Development, she has taught in management schools, has publications in International Journals, and speaks at multiple forums. She completed her PhD in Human Resource Management from University Business School, Panjab University, and Masters in Applied Psychology from Delhi University.